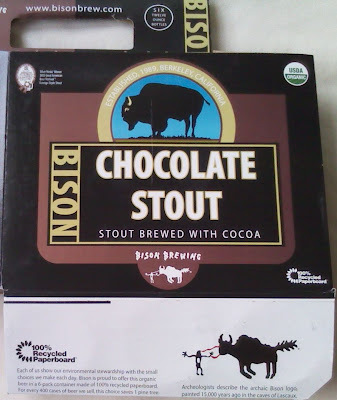 Beers change and my taste changes, but for the moment my favorite beer is Bison brand Chocolate Stout. I picked it up at a Whole Foods store in Fort Lauderdale, unaware of the price or even that it is USDA organic. I am no expert on beer, but I'm partial to stout, porter, and similar heavier beers like this one. I won't buy Bison Chocolate Stout in Minnesota where I live, if it's even available, because it's pretty expensive and some other excellent beers cost much less. But it was a very tasty treat.